Those who want to give up on people caught in the drug crisis should read the story of Emily Buker. If someone tries to tell you that a person caught up in the drug crisis is a lost cause, show them the photos of Emily Buker. One, a mugshot from a robbery arrest in 2016, shows the former Waterville woman closing in on her rock bottom. The second, more recent photo shows her after nine months of sobriety, the life back in her eyes. She got there with the help of Operation HOPE, a program through the Waterville Police Department that connects people with drug treatment. Operation HOPE, modeled after programs in Scarborough and Gloucester, Massachusetts, was created in January 2017 as an alternative to the cycle of crime, arrest and incarceration. Frustrated over the amount of time its officers were spending dealing with crimes related to drug use, and alarmed at the lack of treatment options for people whose addiction was driving their criminal activities, first police in Gloucester then elsewhere took matters into their own hands. The departments began to coordinate and pay for treatment for anyone who asked. It was a drastic change for officers used to imposing law and order and a signal of how much government was otherwise failing to address the opioid crisis. In fact, one of the hardest parts has been getting people whose previous interactions with police were punitive to come forward for help. Indeed, Waterville police knew Buker well when her mother brought her to the station around Thanksgiving last year, after finding her at her grandmother’s house with arms black and blue from using needles. 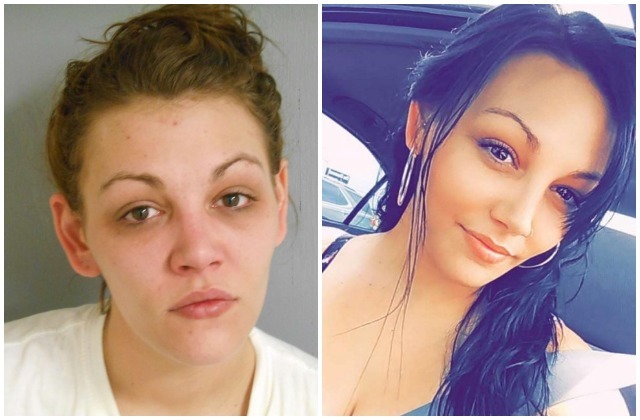 Still, police did not judge her for the years she spent committing crimes as a result of her addiction. Officers got Buker, dope sick and scared, on a flight to a treatment facility in Virginia, where she has flourished. Having completed a 30-day course of treatment, she now lives at a home with other women in recovery, where she is the assistant house manager. This Emily Buker, the one without a daily need to find drugs, the one who is not surrounded by hopelessness and bad influences, is the person she is supposed to be. Addiction took that away, and still no doubt hovers close to her. But for now, she is winning. Waterville police spent about $3,000 on Buker’s treatment — a bargain when you consider court and prison costs. More than that, they likely saved a life. Buker is a success story for Operation HOPE. She is a source of inspiration. She is an example of why we need to invest more in drug treatment and a reminder that there are so many like her who are not getting the help they need. She is also, of course, a living, breathing human being who still faces significant challenges ahead. But she is not, nor was she ever, a lost cause.